If you are struggling with unsecured credit card debt, it can be overwhelming. The situation you are in is not hopeless, debt reduction help is available, so if you need help it would benefit you to take the time to review your options and decide whether debt reduction services from Trident Debt Solutions may help you. 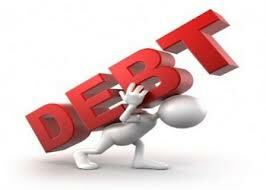 Did you know unsecured debt could be negotiated and reduced greatly? Creditors would rather get something than nothing. On the other hand, if you wind up declaring bankruptcy, unsecured debts are discharged. While you face a ten-year credit report impact, they wind up taking the loss. Debt reduction through settlement is better for all parties involved. The key to successful debt settlement is having representation from a professional who is an expert in financial laws and regulations. You may have heard that you can negotiate with credit card companies on your own. This is true; however, with an experienced legal and financial professional representing you and looking out for your interests, you are much more likely to get more favorable terms. The reason: such representation gives your case a great deal more credibility. A lawyer who has experience in bankruptcy and financial matters can also make certain you understand your rights – and that those rights are protected. Understand that short of bankruptcy, there is no instant way to eliminate all your unsecured debts. However, if you meet certain qualifications and are able to come up with an appropriate lump sum – or commit a certain percentage of your income for the next two years toward paying off your creditors – it is possible to settle your debts for as little as 50% of what you owe. When it comes to debt reduction, help is available – contact us today for more information on how we can help you.